Even cows think about stars. 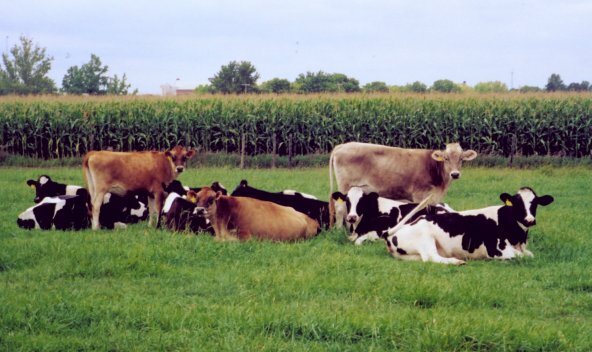 Alpha Cow is lying down at the right, while Beta and Gamma stand to the left. The others are un-named, but contented, as they anticipate the starry skies to come when the Sun sets. The tall green stuff in the background is corn, while grass is in the front.